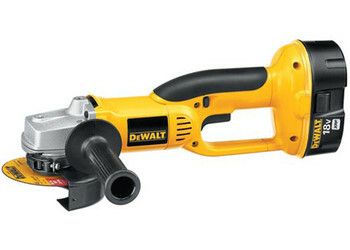 Dewalt Heavy-Duty 4-1/2 in. 18V Cordless Cut-Off Tool. 3 Position side handle offers greater comfort and control. Spindle lock allows users to change their wheels quick and easy. Metal gear case dissipates heat for longer bearing, gear and motor life.